Goodreads Summary: Dill has had to wrestle with vipers his whole life—at home, as the only son of a Pentecostal minister who urges him to handle poisonous rattlesnakes, and at school, where he faces down bullies who target him for his father’s extreme faith and very public fall from grace. First Thought After Finishing: So many teenagers could probably use this book. It has a great message about making your own path in life no matter where you come from. 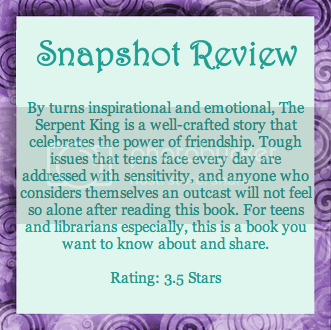 I bought The Serpent King based off of snippets of other reviews that I saw from bloggers I trust. I didn’t really read the summary though, so I didn’t quite know what to expect. This book ended up unfolding almost like a Lifetime drama (yes, I do like Lifetime movies), and it tackled several tough issues head-on but without being “preachy” about it. In the acknowledgements, Jeff Zentner said that he wrote this book for some of the teens he worked with at a summer camp, and after reading it, I can see how this book could be just what some people need to read. "If there was a way I could explode with beautiful heat and light, like a firecracker, that's what I'd want I want people to talk about me and remember me when I'm gone. I want to carve my name in the world." 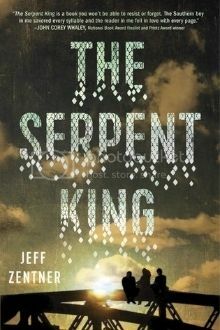 The Serpent King follows three friends—Dill, Lydia, and Travis—who live in a tiny town in Tennessee, not far from Nashville. None of these three friends conform to what everyone in their town expects of them. Dill is the son of a signs preacher who was imprisoned, Lydia runs a fashion blog and isn’t afraid to speak her mind and challenge the status quo, and Travis escapes his life by reading an epic fantasy series and discussing them on message boards. Each character has chapters from his or her own point of view, so we get to know them and their families fairly well. And each one was relatable in his or her way, especially for anyone who has ever felt out of place in high school. This book brought back a lot of high school memories for me. I went to high school in a small-ish southern town, and my high school was the “country” high school. There was definitely a certain way people were supposed to act and be; if you didn’t fit it, you were ostracized. Zentner portrayed this through his characters, but also offered hope for a better future. He showed the bond between all three friends and why it was so important; it was a friendship I wanted to be part of. He also wasn’t afraid to write about issues—parents who certainly weren’t winning any Parent of the Year awards, wanting to live up to others’ expectations, and dealing with depression. My heart went out to each of these characters as they struggled, but that somehow made their moments of happiness even sweeter. 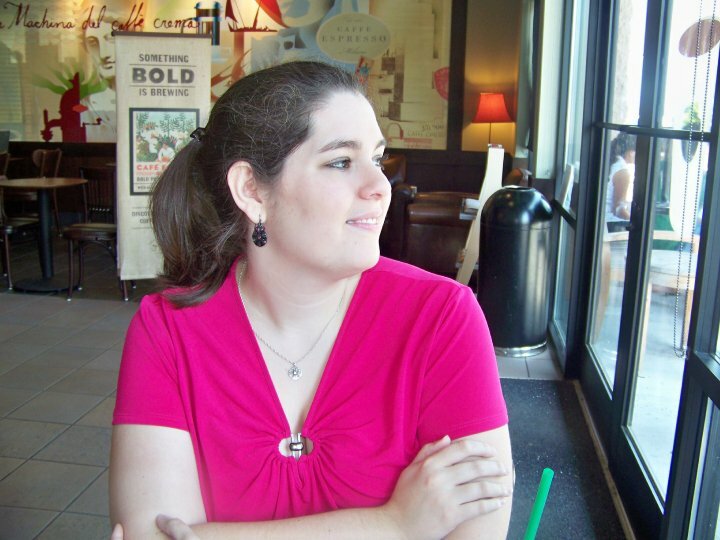 Most Memorable Aspect: Lydia’s wit and sarcasm. Her comments reminded me of things that I’d say, and I found myself laughing out loud several times. She had a great voice, wasn’t afraid to be herself, and I really enjoyed reading the chapters from her POV.